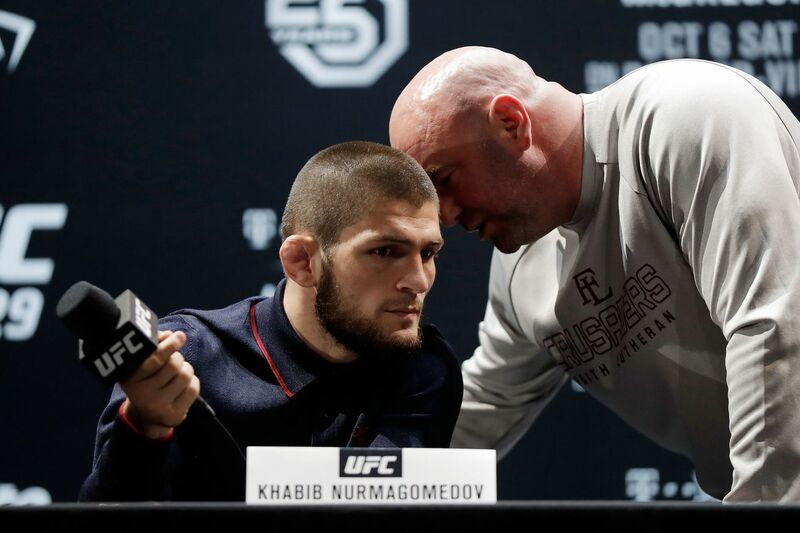 The Ultimate Fighting Championship (UFC) Lightweight division is at a bit of a standstill at the moment, as division king Khabib Nurmagomedov won’t return to action until this November after he added three months to his nine-month suspension handed down by Nevada State Athletic Commission (NSAC). With plenty of contenders chomping at the bit for their chance at winning UFC gold, a lot of frustration is brewing around the division, with some taking the promotion to task for the current mess. “Guys can’t sit out and wait that long if they have the title, you can’t do it. So if that’s true and he is going to do that, then we have to figure out something else,” said White during the UFC 234 post-fight press conference (video replay here). According to Donald Cerrone, he and Conor McGregor will be fighting for the interim strap soon enough, though White didn’t confirm or deny it during the presser. One fight White does like is Tony Ferguson facing off against “The Eagle,” though things might get a bit more complicated should ““El Cucuy” opt to wait for Khabib while an interim title is introduced. Indeed, the 155-pound division is very murky, but if White has his way and Khabib sticks to his self-imposed year long ban from the Octagon, it could get cleared up a bit in the coming weeks.